Brazilian Jiu-Jitsu is a VERY interesting martial arts discipline. Learning it… can also be interesting (and highly frustrating). Finding structure can be difficult. I like to make the analogy that the different martial arts styles are like 10,000 piece puzzles. In Brazilian Jiu-Jitsu, you are likely to get puzzle piece number one on your first day, puzzle piece number forty-eight on your second day, and puzzle piece number eight hundred fourteen on your third day. This is why the Structured Learning Advancement Program (SLAP) for BJJ was created. SLAP BJJ provides the student with an unparalleled level of structure and guides him or her through the learning process in a step-by-step fashion. Brazilian Jiu-Jitsu is a VERY interesting martial arts discipline. Learning it… can also be interesting (and highly frustrating). The learning often jumps around quite a lot. As such, finding structure can be difficult. I like to make the analogy that the different martial arts styles are like 10,000 piece puzzles. Each puzzle creates a different picture. When you train in Kung-Fu, you tend to get puzzle piece number one on your first day. On your second day, you get puzzle piece number two, and so on. The same holds true for Karate, Tae Kwon Do, Japanese Jujutsu, Aikido, and most of the other martial arts. However, with Brazilian Jiu-Jitsu, you are likely to get puzzle piece number one on your first day, puzzle piece number forty-eight on your second day, and puzzle piece number eight hundred fourteen on your third day. So, with a background in the martial arts and higher education, I began my BJJ training as a white belt in the system. I took copious notes during every step of the journey from white belt to black belt… for TEN YEARS! Then, I structured those notes. That’s where this curriculum comes from. Now, as a black belt in Brazilian Jiu-Jitsu, this curriculum is the compilation of everything that I had to learn at each belt level prior to advancement, and it’s the curriculum that I teach to my students. It’s notable that, prior to being given rank advancement in BJJ, I had won first place at each belt level in various tournaments before I was promoted to the next belt level. Basically, I KNOW THIS CURRICULUM WORKS! As an International Brazilian Jiu-Jitsu Federation (IBJJF) certified black belt instructor, my rank has been tournament tested at every level from white belt onward, and, as a black belt, I continue to compete at the local, national, and world levels. Overall, this course aims to provide a level of structure that is rarely seen in Brazilian Jiu-Jitsu. It aims to help the student progress through primary and secondary competencies along the path to continued educational success. BJJ has three basic components: positions, transitions, and submissions. This curriculum guides the student through those areas in an articulate fashion that helps to heighten the student’s ability to retain and utilize what is taught. Let me be straight; there is no substitute for mat time! You must have it, and you need quality instruction (preferably from an academy that is IBJJF approved, like mine is). With that said, the online instructional videos that compose this curriculum can help you, no matter your belt rank, to understand and advance your knowledge. Every student who purchases access to the online instructional videos can download a copy of the curriculum for the belt level purchased. You can also purchase the textbooks that go along with the curriculum, Move-A-Day BJJ: A Daily Brazilian Jiu-Jitsu Desktop Reference, and Brazilian Jiu-JItsu: Surviving the Journey to Black Belt in either e-book or hard copy format. Over 100 videos. Created on the mat, refined through competition, and structured with the student in mind. My desire is to give you the ultimate experience in structured learning for BJJ. 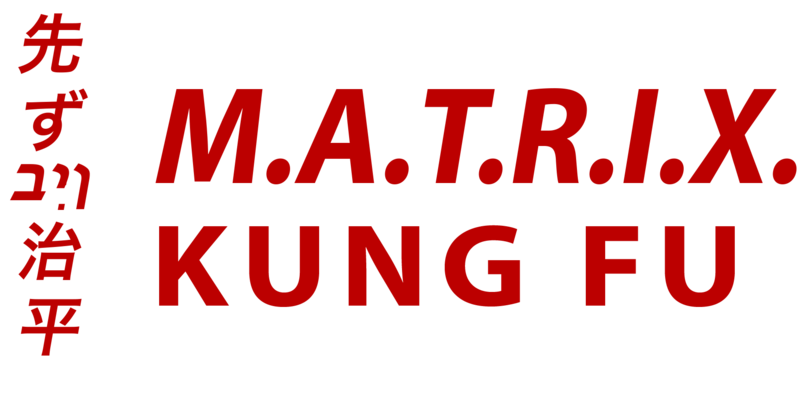 The Martial Arts Training Resource for Insight and Execution into Kung-Fu (M.A.T.R.I.X. Kung-Fu) program is designed to provide those students who are training in Sho Biyn Jiu Kung-Fu with a supplemental source to assist with their training. Select your desired course (e.g. Yellow Belt to Advanced Yellow Belt) before adding this item to your cart. You will then be enrolled into the appropriate course within 1 business day, and you will be emailed a link to begin your course. Note: you are only permitted to enroll in a course that is at or below your actual rank. Example: if you are a white belt and you select Brown Belt material, the instructor will enroll you in the white belt to advanced white belt course. Feel free to email darin@teamplusone.com before purchasing, if you have any questions. Have you ever wanted to do a full split? Learn the stretches that can help you obtain the flexibility to do just that! This course is designed and taught by Sensei Darin Reisler, who, at 40 years old, can do the full splits. The course teaches Sensei Reisler’s very own, personal, stretching regimen that he has put together and refined for over thirty years. The lessons incorporate stretching details from some of the best martial artists in the world, including Ajarn Nelson, who can still do the full splits at 63 years old! 30 years of experience, packed into 30 minutes of stretching, for just $30 $17! Learn to defend yourself during a home invasion. Hone techniques to counter a real-world attack. Get out of cuffs, zip ties, or duct tape binds … FAST. Over 7 hours of video training, including live demonstration, footage from the live class, and lecture material with accompanying slides and video case studies. Taught by Sensei Darin Reisler. © 2019 The New Dojo. All Rights Reserved. Designed by James Revillini - Vandertech, LLC. Did you ever want to be able to perform a full split? Learn the secrets to a productive stretching routine. Benefit from 30 years of stretching wisdom! Get instant access to this course preview! Just fill out the form below.